We love to taco ‘bout Mexico – see what we did there? So, we’re super exited to showcase to you, everything this ever popular destination has to offer. Beach lovers get ready to spend endless days soaking up the sun on the warm shores of Mexico’s Caribbean coast. Powder-like sands stretch as far as the eye can see, and as for the views, postcard perfect springs to mind. 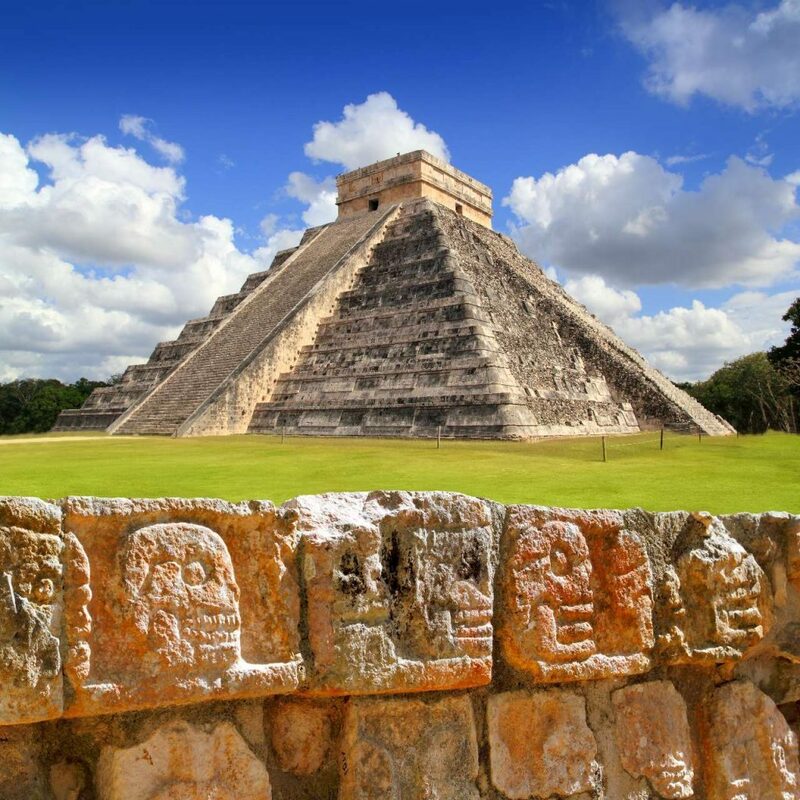 If you’re more of an explorer Mexico won’t disappoint, with many ancient sites to visit including Chichen Itza, one of the Seven Wonders of the World. Mexico’s Caribbean coast has a great choice of resorts, we would recommend vibrant Cancun if you like to be in the centre of all the action, or if you’re single ready to mingle. It’s a huge resort, packed with shopping malls, restaurants and nightlife. The resort of Riviera Maya offers a vast selection of luxury hotels that would suit honeymooners and couples looking for a romantic break. 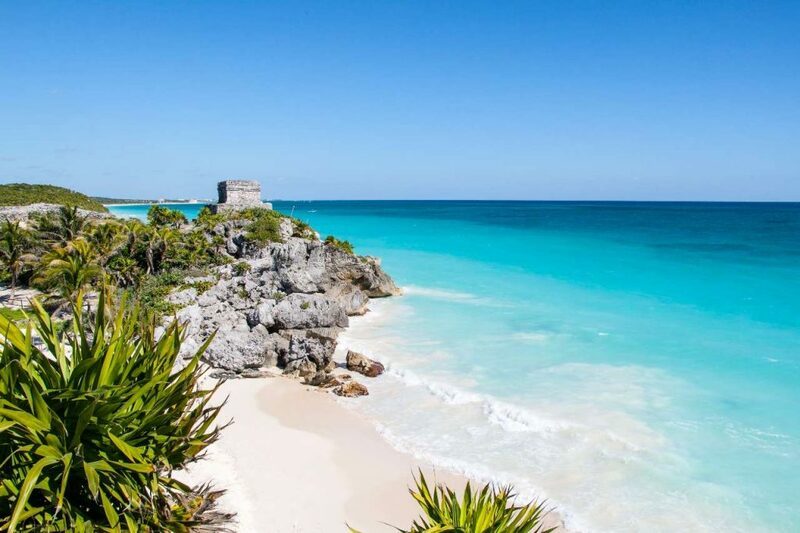 And, if you like to keep active on holiday, you could hire a bike and cycle around the Mayan ruins, or how about snorkelling with sea turtles? Playa del Carmen is a great resort if you’re a family travelling with little ones. Most of the hotels along this stretch are All Inclusive and have plenty of activities to keep everyone happy. It’s also a great location if you’re looking to visit eco-archaeological park Xcaret, a treasure trove of water slides, hanging bridges and cenotes which will keep the little ones well entertained. Isla Mujeres is a small island, only 8km long and 4km wide, and is just a 20 minute boat ride away from Cancun. A popular way to discover this island is to hire a golf buggy that can see you easily whiz around the full island in just a couple of hours. Make sure you head down to the beach at Playa Norte, with white powder sands and crystal clear water, it doesn’t get much better than this. If you like to delve back in time, a visit to the UNESCO World Heritage Site and one of the “New Seven Wonders of the World”, Chichen Itza is a must for your to-do list. This ancient Mayan City is the largest of all the ruins you will find in Mexico. Get your glad rags on and get ready to party at the world famous Coco Bongo in the heart of Cancun. It also just happens to be owned by award-winning actor Jim Carrey, who starred in ‘The Mask’, where the idea for the famous nightclub was born. At this spectacular venue you will see a Las Vegas style show with a Mexican fiesta twist. Think flying acrobats, bar top conga and dozens of entertainers, so don’t forget your dancing shoes. Of course, this is just a small bite-size piece of Mexico, in fact, there’s so much more to do, you’ll be booking another trip back in no-time. Are you in the mood for some sun and tequila? Our best deals to Mexico are just one click away. School is finally out for summer! It's the ideal time for a family holiday, and if you haven't booked anything yet - look no further.